The majority of lawyers don’t need to network their services, so why should you? Yes, that is right, the majority don’t – and these people are from large law firms, where they have a sales force working flat out all day with a marketing department behind them driving leads to follow up. Or they are in a small dynamic firm that have a sales or PRO person who runs around generating business for the back-office firm. Or, and I wish this was everyone, you have so much business, you don’t need any more clients and networking would just be a huge waste of time and effort. But, alas, there are a good few people left who must go out and generate new leads, and for those good honest folk, here are a few ideas that may help you find more business. I have always thought that lawyers can generate great leads at business networking groups, normally these groups promote active referral systems, and we all know that word or mouth referrals are one of the best sources of business for law firms. We often forget that by referrals we do not only mean from somebody else wanting our services, but it also means referring people we know to other people in your networking group – this “paying it forward” by helping other connect, creates a lasting impression with the people you connect and they will bring you business, directly or via a referral of people they know. Your kids attend school, many of them have active parenting social events, whether it be a “meet and greet” parents function, or standing around for the morning watching your child play sport. No need to walk around handing your business card out, but listen for signals where you or somebody in your network can help. Also make sure you have your elevator speech ready to introduce yourself and what services you offer. If you are targeting start-up businesses, make sure you attend functions where they are actively promoting start-up businesses or having talks that you know would attract people wanting to know more about being a successful start-up business. Do a little research into your prospects, if you know they like golf and normally spend a good 30 minutes on the practice green before the rest of the four ball arrive, find ways to put yourself on that practice green at the same time. No stalking! Conveyancers, your estate agent market gives you so many opportunities to network with them, not to mention the hunger they have for good free property law advice. Pop in at their show houses, or the open house – just to see how they are doing and what the property looks like, just in case you know somebody who may be in the market for such a property. Try to get a slot at one of their functions to talk about what you know. Recommend services related to what you offer, again with conveyancing, have a good few related services you can recommend, the business owners will be mighty appreciative of the business and will return the favour down the line. Plus, this is good for your client. Know your elevator speech and deliver it well. 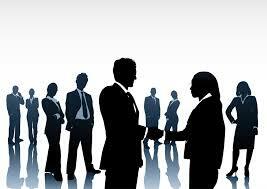 Refer people in your network groups, it will come around and if it does not, move groups. Refer, help, assist, introduce, educate, care and they will take notice. Take an interest in the business sector your focus on, and get involved. Look at what your target market are doing, then find ways to contribute and make a difference, people will notice and they will pay it back.